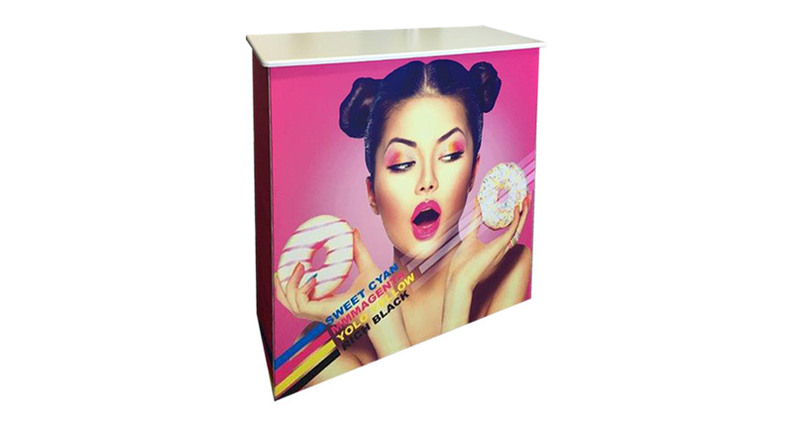 The Embrace Pop-up Counter is a stylish, collapsible counter display with easy-to-use push-fit tension fabric graphics. It delivers maximum style with minimal effort. 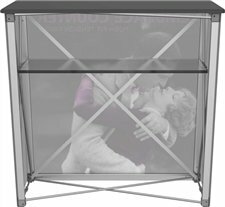 The Embrace combines a collapsible anodized frame with channel bars that hold push-fit fabric graphics. A clear internal shelf provides additional storage space. The counter is finished with a white laminated counter top for a smart appearance. The Embrace requires no tools for assembly. 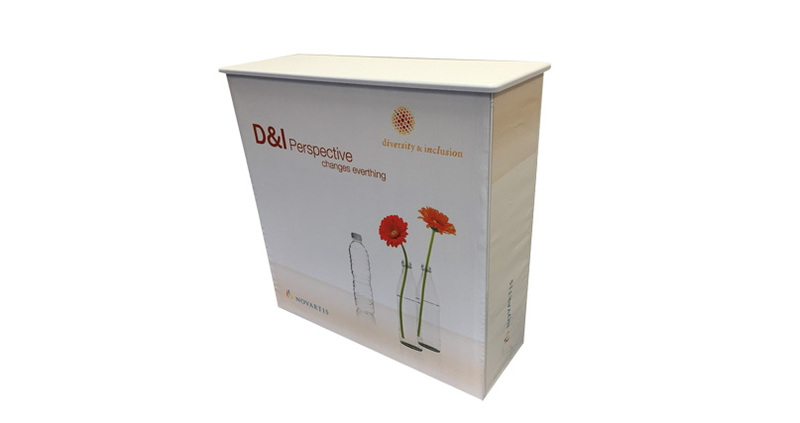 It is lightweight and highly portable and it packs away as easy as it sets up! 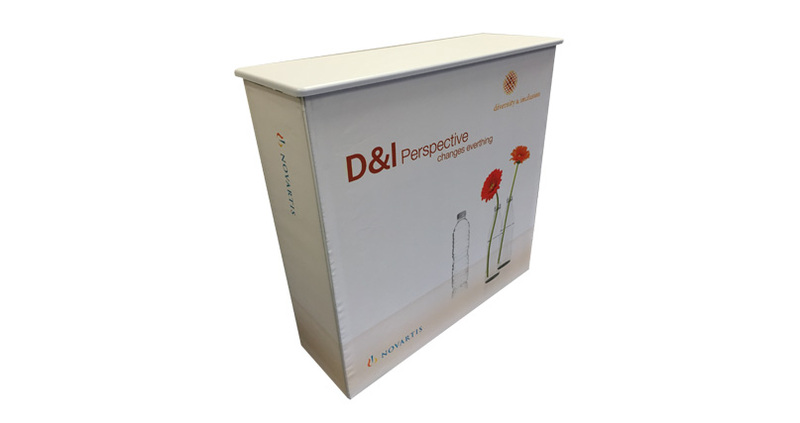 The Embrace Pop-up Counter is a portable display counter with one internal shelf, white laminated counter top and printed fabric graphics on the front and sides. It weighs approximately 13 kilos and comes in a canvas style carry case with handles. The frame will support up to 20 kilos. 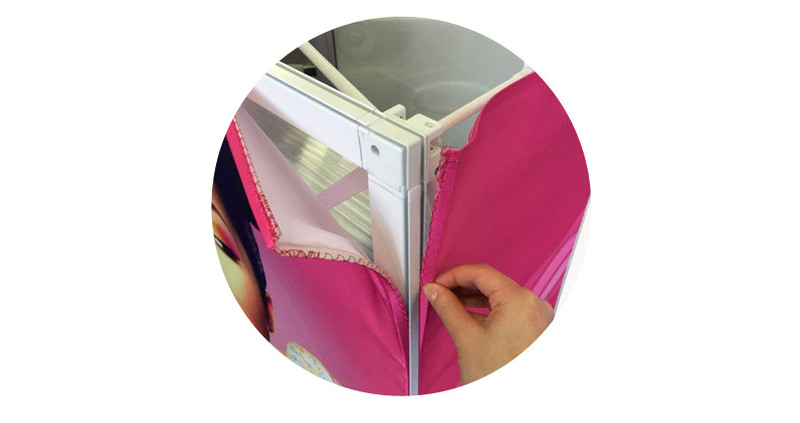 The frame is easy to set up and has channels around its perimeter to enable the push-fit graphics to be attached. The counter is 104cms high x 104cms wide x 38cms deep. How much does the counter weigh? What are the counter dimensions? How much weight can the counter support? Thanks for posting your review, we will be in touch with you.